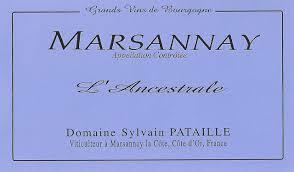 2015 Sylavin Pataille Marsannay L'Ancestrale Rouge - $89.99: Vins Rare, The finest selection of rare wines. ($161) Interestingly this is aromatically quite similar to the Le Chapître if perhaps slightly riper. Otherwise there is outstanding concentration and focused power to the caressing middle weight flavors that exude a lovely minerality onto the dense, serious and moderately austere finish that displays very fine length. This is quite an impressive villages and one that is clearly built-to-age. Burghound 90-92 Outstanding!